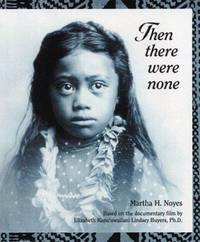 THEN THERE WERE NONE : Based on the Documentary Film By Elizabeth Kapu'uwailand Lindsey Buyers, Ph.D.
Honolulu, Hawaii: Bess Press, 2003. BRAND NEW Copy. Miniature-sized volume. Illustrated boards/Fine. DJ/Fine. A poetic account of Haiwaii past and changes wrought by Western contact. History of Native Hawaiians, piha kanaka maoli, Polynesian peoples who were the islands' first settlers and the 50th state of USA since 1959. Chronical of western intrusion from Capt. Cook's 1778 arrival to the present. Documentation of social consequences brought about by imported disease, imposed written language, the missionaries, imposition of property rights, overthrow of traditional rule, suppression of the hula, and native language. 125 pgs. Archival b/w photographs contrast with marked irony to the color-laiden tourist images of today. No blames, but a voice of the past.. First Edition, 4th Printing. Hard Cover :Miniature Volume. NEW/New. Cambridge UniV Press, 1978. BRAND NEW Copy. Cultural life of Sherpas, major ethnic group of the most mountainous regions of the mountainous, landlocked kingdom of Nepal and the Himalayas. Sherpa (or, sherwa) literally means "people of eastern Tibet" (Shar = "east", and Wa = "people"), in reference their nomadic origins from eastern Tibet. 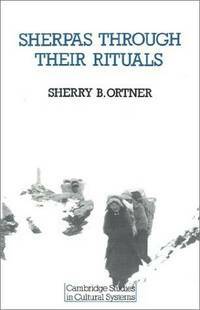 The Sherpa were nomadic people who first settled in the Solukhumbu District (Khumbu), Nepal. Of Mahayana Buddhism persuasion and four major clans (Minyagpa, Thimmi, Sertawa & Chawa). 195 pgs in 7 chapters covering marriage & family patterns, social hierarchy; religious rituals to society at large. . Reprint of 1979. Soft Cover. NEW/None as Issued. Berkeley, CA: Heyday Books/California Historical Society, 1993. 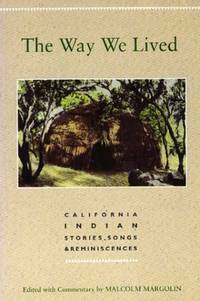 Anthology of Native-American philosophy through oral literature; many first-hand accounts from native persons of California. , Collection includes stories, love songs, poetry, chants, and orations. First published 1981; this is the Revised Edition of 1993. 248 pgs supported by photos. Map of Native California precedes text presented in 11 parts: Part I, Growing Up; II, The Conflict of Love; III, An Ordered World; IV, Old Age & Death; V, The Aliveness of Things; VI, Getting Power; VII, Dream Time; VIII, Mythic Time; IX, Coyote Tales; X, The Coming of the Whites; and XI, The Present, followed by a list o archival photographs.. Revised Edition, 4th Printing. Soft Cover. NEW/None as Issued. Revised Edition. Seattle, WA: Univ of Washington Press, 1981. EX-LIB, UNCIRCULATED Copy. Text/BRAND NEW & Bright. Black linen boards/NF w/trace edge rubs. DJ/NF; w/light surface wear, and, inner flaps pasted to front & rear covers' verso. Reference/resource. History of indigenous southern Alaskan art from the "discovery" of the region in 1741 through 1980.251 pgs, illustrated w/photos, in 2 parts: Part I, chapter 1, Historical Background; 2, Materials & Coloring Agents; 3, The Traditional Arts; 4, The New Arts; and 5, "What is Past is Prologue; and, Part II, Illustration, followed by appendices & Glossary.. First Edition, First Thus. Hard Cover. Very Good/Fine. First Edition, First Thus. Seattle, WA: Univ of Washington Press, 1995. BRAND NEW & Collectible. First Edition, First Thus. Fine copy of a most excellent monograph on stylistic patterns in ceramics and goldwork of pre-Columbian art of Panama. Massachusette-born anthropologist, educator, and author Armand Joseph Labbe (1944 - 2005) was Chief Curator of the Bowers Museum of Cultural Art in Santa Ana, California. 168 pgs, illustrated with superb photography, reviews shamanistic symbolism in the art of ancient Panama. Brief Chronological Outline of Panamanian History precedes 7 chapters: I, Introduction; II, Central Panama: A Ceramic Art History; III, The Central Region: Changes of Time: An Art Historical Overview; IV, Neotropical & New World Shamanism; V, Mapping & Structuring the Shamanic Universe; VI, Paradigms & Models: Key to Understanding the Inherent Dualism of the Shamanic Cosmos; and VII, Context & Meaning in the Art of Central Panama., followed by Glossay.. First Edition, First Thus. Soft Cover. NEW - COLLECTIBLE/None as Issued. Illus. by Borissov Photography; Joseph Kramer (Illustrations). 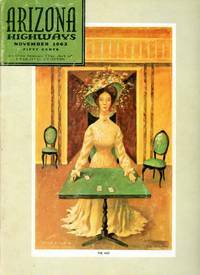 First Edition, First Thus. Phoenix, AZ: Arizona Dept of Transportation, 2004. BRAND NEW Copy w/a whisper of rubs to stapled spine of softcover. 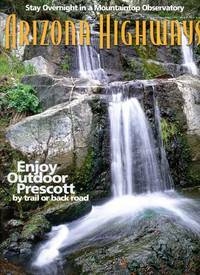 COVER ART: Waterfall of Grapevine Creek, photo, Bernadette Heath. Monthly Arizona State publication. Major articles of this May, 2004 issue are:: 1, Pleasures of Grapevine Canyon; 2, Des[iete Deadly Forced Marches, Navajo Identity Grew Stronger; 2, Arizona's Four Lively Corners; and 3, Commemorating High Style (Flagstaff's Rioedan Mansion).. Volume 80, No. 5, May 2004. Soft Cover/Magazine. NEW/None as Issued. May 2004 Magzine. Phoenix, AZ: Arizona Highway Department, 1963. Text/BRAND NEW & Bright. Stapled softcover/VG; strong & sound w/archival tape reinforcement to spine edge, and trace surface rubs. COVER ART: "The Hat", surrealist painting by Philip C. Curtis (1909 - 2000). Feature article of this vintage 1963 monthly issue is the Arizona State Fair. Other articles include: 1, Desert Day; 2, Journey to a Far Country (art work of Philip Curtis); and, 3, How the West was Won (MGM use of Arizona in film sets). 1963, Volume XXXIIX (39), No 11. Soft Cover/Magazine. Very Good/None as Issued. Vintage/1963 Issue. Phoenix, AZ: Arizona Highway Dept, 1949. Text/BRAND NEW & Bright. Stapled softcover/NF w/trace rubs to stapled spine & surface. 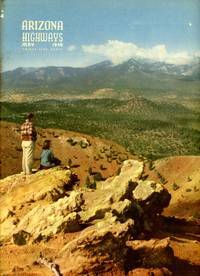 COVER ART: Contemplating Sunset Crater from the San Francisco Peaks by Stan Midgley. An issue devoted rangers in the vast lands of Arizona. Feature articles on: 1, Arizona Herefords; 2, Jerome (a copper mine); 3, The Arizona Story -In Movies; 4, Roundup; 5, Brahman Invade the West (new in the cattle world); 6, Cochise Stronghold; and 7, Sunset Crater. . Soft Cover/Periodical. Very Good/None as Issued. Vintage Issue. Phoenix, AZ: Arizona Highway Dept, 1953. NEW COPY w/trace edge rubs to softcover. 1953 vintage periodical of Arizona State. 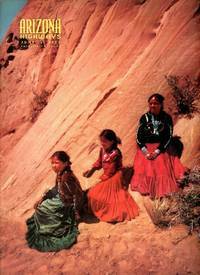 COVER ART: Photo portrait of three Navajos by Chuck Abbot. Monthy periodical of Arizona State. This June issue of 1953, now a primary historical resource, features: 1, Arizona Silhouettes (a Tucson publishing house); 2 Scaffold House; 3, Roads Throught the Indian Country; and 4, Sycamore Canyon.. Volume XXIX (19), No. 6. Soft Cover/Periodical. NEW/None as Issued. Illus. by . Vintage Issue. Phoenix, AZ: Arizona Highway Dept, 1946. Text/NEW & Bright. Stapled softcover/NF w/trace edge rubs. 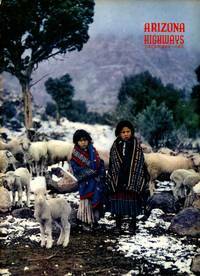 COVER ART: Photo of 2 shawled Navajo youngsters amid sheep in winter --- excellent composition from the lens of Senaotr Barry Goldwater (1909 - 1998). A vintage tribute to Arizona at 1946 year's end some seventy years ago. A primary historical resource . Volume XXII (22), No. 12. Soft Cover/Periodical. NEAR FINE - COLLECTIBLE/None as Issued. Vintage/1946 Publication. Albuquerque, NM: Univ of New Mexico Press, 1973. Text/BRAND NEW & Bright. Illustrated (Katherine Potter) Soft cover/VG; strong & sound w/light edge wear and scraps to lower front edge. 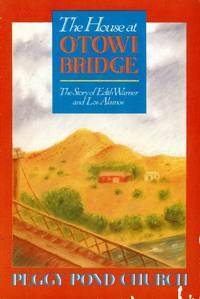 The story of Edith Warner whose house in New Mexico "stood for many years beside a bridge between two worlds" ... the warmth of her home brought together Indians of San Eldefonso Pueblo and atomic scientists at Los Alamos such as Niels Bohr and Robert Oppenheimer.. First Edition, 11th Printing. Soft Cover. NEAR FINE/None as Issued. Illus. by Connie Fox Boyd (Illustrator). Bloomington, IL: Indiana Univ Press, 1955. Text/soil spot to pg 18, bends to corner tips from faulty storage, else Clean & Bright. Softcover/Good; sound w/faint creasings to corners & surface; coffee(?) stains to upper text block & wrinkles to last page. 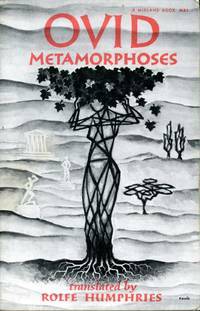 A 15-book, hexametric epic, recounting Greek & Roman myths in roughly chronological order. Major work of Augustan, Publius Ovidius Naso (43 BC - AD c. 17), known as Ovid, and ranked with Virgil and Horace as one of three canonical poets of Latin literature. English translation by American poet, Rolfe Humphries (1894 - 1969) using ten-beat, unrhymes lines, much in line with the wit and sophistication of the original. 401 pgs. Strong copy despite flaws.. Reprint. Paperback. Good/None as Issued. Vintage/Classic Mythology. New York, NY: Charles Scribner's Sons, 1976. PAPERBACK Copy; NOT LOOSELEAF. Text/Bright, clean, AS NEW w/red underlining to pgs 4-10, 11, 30 & 100. Illustrated black softcover/VG; strong & sound w/edge, corner tip & surface wear. DJ/None as Issued. Light btown spotting t(acidic paper reaction) to text blocks. 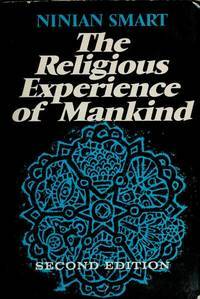 Analytic history of man's religious experience in the light of the emergence of contemporary Marxism, Humanism and Secularism; this 1976 2nd Edition has an added chapter on African religions. 594 pgs w/photo illustrations, 12 chapters in 6 parts: Part I, Primitive Religions; II, Religions of Africa; III, Religions of India; IV, Religions of the Far East;, V, Religions of the Near East; and VI, Contemporary Religious Experience.. 2nd Edition. Paperback. Very Good/None as Issued. Caracas, Venezuela: Universidad Central/Instituto De Antropologia y Geografia, 1950. Text/BRAND NEW & Bright; Spanish language text/ Softcvover/NF; strong w/light edge wear. Anthropology. Study of the "Tlacaxipehualiztli ", the "skinning of men", of Aztec mythology, A ritual, agricultural sacrifice praticed by Aztecs in honor of the god Xipe Totec. Timed in the 2nd month of the Xiuhpohualli , solar calendar .On the 1st day, Mexicans celebrated by skinning captives & slaves from wars. 48 pgs, w/maps, in 5 parts by Miguel Acosta Saignes (1908 - 1989) : 1, El Complejo de Tlacaxipeualiztli; 2, Sacraficio de Carazones; 3, Otros Caracteres del Complejo; 4, Extension del Complejo de Tlacaxipeualiztli; and 5, Los Caribes y el Complejo de Tlacaxipeualiztli. . First Edition, First Thus. Paperback. NEAR FINE/None as Issued. Spanish Language Text. New York, NY: Riverhead Books, 2004. Text/BRAND NEW & Bright, Softcover/Good; strong & sound w/edge & surface rubs, faint creasing to lower front corner, and archival-tape repaired closed tear to back cover. 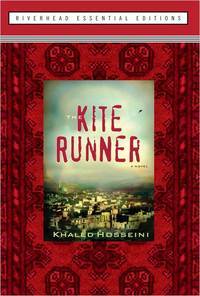 Debut novel of Afghan-American author & physician Khaled Hosseini (1965 - ). Set in 2003 during n Afghanistan's political and warfare strife. Tale of Amir, heir to a wealthy Kabul businessman, and Hassan, son of a family servant. Inseparable, the two grew up under relatively stable Afghanistan world order of the early 1970s. So, they shared idyllic days flying kites. Then, comes war. Amir immigrates to California. Here, Amir, deeply torchured for once not having stood up for Hassan in the face of bullism, and learning Hassan's family has been annihilated by the Taliban, returns to his war-torn motherland to rescue his friend., whose parents had had been killed by the Taliband. This is but the background --- a brilliant, startling plot with twists and turns that make this book memorable both as a political chronicle and a deeply personal narrative. Very strong copy in a lesser softcover.. First Edition, First Printing. Paperback. Very Good/None as Issued. First Edition, First Printing. New York, NY: HarperPerennial, 1993. BRAND NEW Copy w/a whisper of discoloration to margins. First Edition, First Printing. 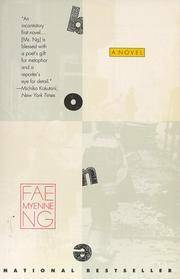 Debut novel by native born Chinese-American author Fae Ng (1956 -). Fictional history of an immigrant family set in the 1960's through the 1990's in Chinatown, San Francisco. The story of three sisters, all born in America, and all struggling to find peace. The central event is the death of the second daughter, Ona, on drugs, threw herself off a 13th floor. 194 pgs in 14 chapters narrated by the eldest sister Lelia, a restaurant hostess. Told in simple, powerful prose, most of the action is in the present, but not in chronological order. The family, after all still an extended one, still harbors remorable roots in rural southern China now intertwined with those newly sent down into soils of contemporary America --- including stepfather who keep's "Going back to China" monies in a paperbag, which of course he will never use and Leilas's auto-mechanic husband-to-be who reads Leila's moodiness thus: her anger "--- is like flooding--too much gas, killing the engine.'' A stunning work. . First Edition, First Printing. Paperback. NEW - COLLECTIBLE/None as Issued. First Edition, First Printing. New Orleans, LA: Patio Planters, 1984. Text/BRAND NEW & Bright. Plastic-comb, spiral softcover: VG, w/trace edge rubs, and missing first two plastic combs. Cookery. 121 pgs, assembly of Louisiana New Orleans Recipes from the French Quarter. 8 sections: 1, Party Fare; 2, Soups & Gumbos; 3, Salads & Vegetables; 4, Entrees; 5, Breads; 6, Sweets'; 7, Jellies, Pickles & Preserves; and 8, Beverages. . First Edition, First Thus. Paperback/Plastic Comb Spiral. Very Good/None as Issued. Illus. by R. Jeffrey Lamb (Photographer). Surrey, England: ClV/Color Library Books, 1992. BRAND NEW & Collectible. First Edition, First Thus. Superb collection of some 140 authentic Chinese rescipes ranging from mild Beijing cuisine to sweet & sour dishes of Hunan, spicy hot & spciy Szechuan dishes, to Cantonese offerings. 304 pgs with color plates. A delight for the board and rich creative ideas for the creative.. First Edition, First Thus. Hard Cover. NEW - COLLECTIBLE/New. First Edition, First Thus. Vancouver, Canada: Whiterock Publications, 1966. BRAND NEW Copy. Study of form and symbolism of Kwakiutl, one of seven principal groups of Northwest Paciific Native American Indians, totem poles.. 2nd Edition of 1967. Soft Cover/Stapled. New/None as Issued.